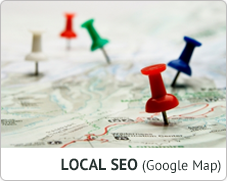 The success of your SEO local campaign is based on strong citation links personalized to your location and industry. Your competition is working overtime to beat you to the top, now is the time to dominate your Google My Business Account. 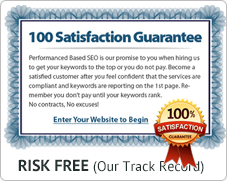 21-Day Performance Based Local SEO Plan starts at $200 for 1-2 keywords and 3-60 at $500. 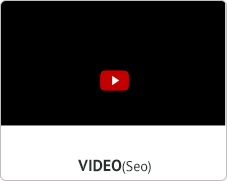 We will get your website listed in Google+ My Business correctly & claim citation links to match. If your site does not rank you do not pay, no setups. Understanding the Arch: The Keystone and Pathway to Success: An (1) arch is a strong architectural structure made from wedges against each other. The middle piece on the top is the (2) keystone that locks the other stones into place. Below are your instructions for building a successful partnership with us and pathway to success. The key to success begins with Google+ My Business otherwise your chances of ranking #1 or letter A, B, C may never get started. NOTE: Each city has their own top citation links to claim. For example, I live near SLC Utah; Herald Extra & KSL are local newspaper and tv classifieds that I chose to get listed and to claim my business into their directories. Part of our service would be to custom build you a list to get listed in for your city and state and industry that match your Google+ My Business listing. What SEOgame can do for you if you are obsessed with your local seo rankings and becoming #1 or letter A,B or C in the maps. As with the Arch, the wedges on either side of the keystone are equally important to your pathway to success or staying on 1st page of Google in the maps for your local seo keyword phrases. The mutual promise as a partner is that we work on the citation links (left-side of the keystone) that are most important to get your rankings to improve and you focus on the hidden citation links (right-side of the keystone) that are local to your area including the chamber of commerce, networking and entrepreneur groups, industry blog posting/commenting or online newspaper submissions, local events website that you can sponsor, other associations and affiliations, BBB, trade associations/shows, speaking engagements at conferences and events, create your own wikipedia page and much more. Reply for a free analysis and consultation… we will also send in return a customized infographic flowchart for your business and provide customer support at no cost. Learn more, see case studies 21-Day Performance Based Local SEO Plan. Begins with Google My Business. Do you know where the keys to your Ferrari hang? How about the other keys to your sharing sites? Who as access to them? Do you care about your #1 assets to your web presence? Let SEOgame help you find them and hang them up so all can use and demo others what’s under the hood. VrOOm, VrOOm, VrOOm!